In real-world projects I have noticed the following SharePoint Branding mistakes. 1. Inheriting a Publishing Page for a Fully Immersive UI where we don’t actually use any Publishing functionalities like Page Layouts, Approval Workflow, Content Authoring etc. 2. Using Content Editor web part to dynamically invoke an HTML file there by delaying loading through unwanted SharePoint stuffs. The requirement context here is to have a Fully Immersive Page without SharePoint Branding and allowing REST Operations. Open a SharePoint Designer and Choose Site Pages > Page ASPX option. Now, Open Designer and Go to Site Pages library. You can see our page is listed there and the Content Type is of Wiki Page. We don’t worry about that since we are not using any Wiki Page functionalities. Plus, our page is SharePoint Foundation compatible. You can also use HTML page instead of ASPX. In this case we need to change the Web Application property to allow HTML extensions to render instead of download & work with more challenges. Now open the Page and choose Edit file option. You will see the following page with read-only mode. Click on the Advanced Mode to edit the contents. You will get the page in edit-mode as shown below. From the Immersive Page Perspective, We are expecting a Full Custom Page which does not require any SharePoint Branding or Ribbon elements. The above Page fits our requirement. Following is the page content. Your HTML content goes here..
You can save the page and test in browser. You can see now the SharePoint Branding elements got removed. You can View the source. The source looks simple. Now you are ready to use the above Page Template for building the Fully Immersive Page with Responsive Or Non-Responsive web design. Full Control! Sleek! Faster! Now we need to use JSOM or REST API on the ASPX page. Clearly, we cannot use API because it will throw lot of security errors. The solution is to include the Form Digest tag. Form Digest tag marks the page with right Security Contexts. This will allow the page to do POST requests to modify the contents in SharePoint. Following would be the modified code. Add Form Digest value too. The additional contents added ensure that the Page is protected to Post data through APIs. Since we are hiding SharePoint Ribbon, it will hide the User Display Name & Gear Icon too. If you require these, I would recommend creation of a Custom DIV and Add those Items manually. Now let us really test an item insertion. You can use the following link for that. In this article we have explored a sleek way of developing Fully Immersive SharePoint Pages. 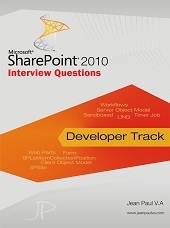 Mere ASP.NET & HTML skills are not enough to work with SharePoint Branding. The Cost of improper branding will be sluggish page performance, unwanted content loading, unhappy user etc. Following are the recommended approaches for SharePoint Branding. HTML Page HTML Page (.html) is preferred if you are using a Full Page customization. In this way you are loading only necessary contents. ASPX Page ASPX pages will contain lot of SharePoint Master Page contents along with the Images, CSS & JS files. The recommended approach is to open the page in SharePoint Designer and remove the unwanted elements. Master Page Custom Master Pages are recommended for Custom Layout scenarios. Adding a custom master page for every scenario does not add value. Design Manager Design Manager can be used to convert HTML pages to Master Pages. Composed Looks Use Composed Looks instead of Custom Master Page if you wanted to just change the Color, Theme & Background images. Web Part Zone Web Part Zone is only needed if you wanted your user to add custom web parts. If there is no explicit requirement, remove the Web Part Zone from the page. This will save from hassles in the future. Content Editor Web Part Content Editor Web Part allows adding HTML contents from the User level. But for a Developer Content Editor Web Part is not recommended. Use direct HTML inclusion in the page. SharePoint Ribbon SharePoint Ribbon is a Powerful thing. But you have to Hide it if you do not Need it. Else, you are attracting lot of problems like the User can delete the branded page etc. Removal vs. Hiding Removal of page elements is advised over Hiding them dynamically at the client-side. This will remove the Flickering effect & Improves page performance due to reduced contents. HTML5 Application Cache Use cache manifest to specify offline availability of static files. This will save lot of client & server cycles in multiple refresh scenarios. Static Files involve CSS & JS files. HTML5 Video Tag Try to use HTML5 Video tags instead of SharePoint Video infrastructure. This will be lighter in footprint & server usage. SharePoint Video infrastructure involves content types, metadata & streaming. CSR Client Side Rendering with JS Link is recommended for modification of List View. Responsive UI Responsive Web Design is recommended over Device Channel as it gives the same HTML code for all devices, Search engine friendly & lesser scripts. Device Channels Device Channels have the overheads of custom master page creation although it reduces the size of the page. Hence it is recommended only for low-bandwidth devices. Search Display Templates Custom Search Display Templates can be used rather than creating a Custom search results page. CDN Content Delivery Networks are recommended for quick retrieval of JS libraries when your customers are located around the world. SOM Server Object Model code is least recommended as it involves Server-side execution and Reducing Compatibility with SharePoint Online. Browser Support Internet Explorer still wins the Majority over Chrome when comes to SharePoint Intranet deployments. So never forget to Ensure Responsiveness & Clean the extra Errors & Warnings generated by IE. I would recommend a 2-day SharePoint Branding Training before starting with the Actual Project. This investment in the initial phase will return multifold in future. For certification involving branding MCTS 70-448 is recommended. In this post we have explored few SharePoint Branding aspects.